In this new report by Panteia the contribution of different types of entrepreneurs to economic and societal value creation in the Netherlands is investigated. The report uses theoretical literature about the different roles entrepreneurs play in economy and society, as well as empirical literature to establish the contributions of different types of entrepreneurs to different types of value creation. Finally, using various data sources, it is also investigated how the Netherlands perform on various types of entrepreneurship, relative to other highly developed economies. Join innovation leaders and meet 200+ promising Dutch startups during the How To Get There Summit on 19 November in the Rotterdam Science Tower organized by the Erasmus Centre For Entrepreneurship (ECE). With this summit, StartupDelta aims to bring the worlds of corporate innovators, startups and innovation hubs closer in order to innovate faster together. We’re closing off the day with the Dutch Finals of Get in the Ring, the world’s greatest startup competition. Do you want to know which startups will be crowned the Dutch champions of Get in the Ring 2015 and will represent the Netherlands at the European final in London? Come and see the show! Get your ticket at gitr.nl. Are you a startup? You can still apply! Looking forward to seeing you on the 19th of November in the Rotterdam Science Tower! The hypothesis that participation in an entrepreneurship course actually leads to higher ánd lower scores on entrepreneurial intentions via self-awareness (and that this is a positive thing), is a new approach. The study is also innovative in its focus on inspiration and its use of a multi-item construct from the area of psychology to measure this. Furthermore, it is the first to explore which specific course aspects (content or form) are related to inspiration and self-awareness. Finally, it is the first international comparison of the specific content of entrepreneurship courses with a pre-post design to be executed on this scale. In this sense it is different than, for example, the GUESSS project, which is a one-time measurement of entrepreneurial intentions and contextual factors among a broad population of students. Joining this research project will result in knowledge development (you will be the first to have access to the results), more visibility and extended international networking, and possibly very specific ideas for curriculum innovation. So far, six institutions (from Canada, Finland, Norway and the United Arab Emirates) have already expressed their interest and sixteen more institutions from countries all over the world have very recently been approached. Can you provide us with students to participate in our international research project on the impact of entrepreneurship education on students’ entrepreneurial intentions via self-awareness and inspiration? We are looking for students who follow a course specifically dedicated to entrepreneurship (elective or obligatory, not necessarily part of a program in entrepreneurship). We also need an equally sized control group of students with a similar profile that do not follow this course. The course should last between 6 weeks and 6 months (minimum: 3 US credits or 5 ECTS). The measurements (1 in the first week of classes, 1 before the final grades are published) can be anywhere between November 1, 2015, and July 1, 2016. 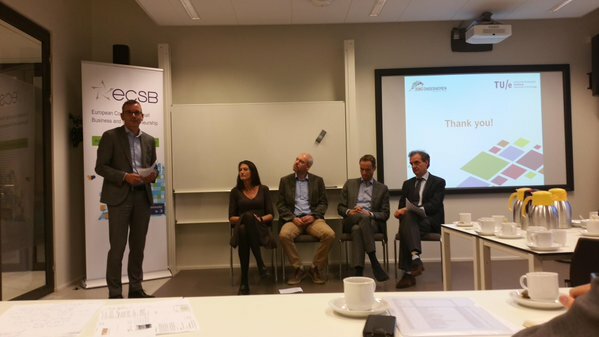 Entrepreneurial ecosystems: basis voor duurzame groei? Ondernemerschap, vastgoed, financiers, arbeidsmarkt: vaak zijn het losse onderdelen in economisch beleid. In een ecosysteembenadering zijn die onderdelen juist op elkaar afgestemd. De ecosysteembenadering wint terrein maar roept ook vragen op. Die worden geadresseerd op 25-26 augustus 2015 tijdens de eerste Entrepreneurial Ecosystem Academy. De Academy vindt plaats in Utrecht, bij het Utrecht Center of Entrepreneurship. Er is door regio’s en steden de afgelopen jaren veel geïnvesteerd in campussen, opleidingen en in startups. Maar hoe kan duurzame welvaart in gemeenten en regio’s worden ontwikkeld? Universiteiten, hbo, mbo en ondernemers spelen een cruciale rol in de kenniseconomie van morgen, ingebed in een bredere context van financiers, intermediaire diensten, de netwerken die deze spelers verbinden en de randvoorwaarden die dit mogelijk maken. Deze bredere context wordt samengevat in de Entrepreneurial Ecosystem benadering waarin de elementen van een (stads)regio die cruciaal zijn voor het floreren van ondernemerschap en werkgelegenheid worden benoemd, inclusief hun interactie, en uiteindelijk ook de effecten hiervan op de vitaliteit van de (stads)regio. In de Entrepreneurial Ecosystem Academy komt een groot aantal vragen aan de orde. Hoe ontstaan Entrepreneurial Ecosystems en hoe houd je ze gezond? Hoe zorg je ervoor dat de ‘leaders’ van deze ecosystemen het voortouw nemen, en hoe kunnen de ‘feeders’ zorgen voor optimale randvoorwaarden en interactie? Het Utrecht Center for Entrepreneurship en Birch Consultants hebben samen een Entrepreneurial Ecosystem Academy ontwikkeld die antwoord geeft op deze vragen, vanuit zowel de wetenschap als de praktijk. 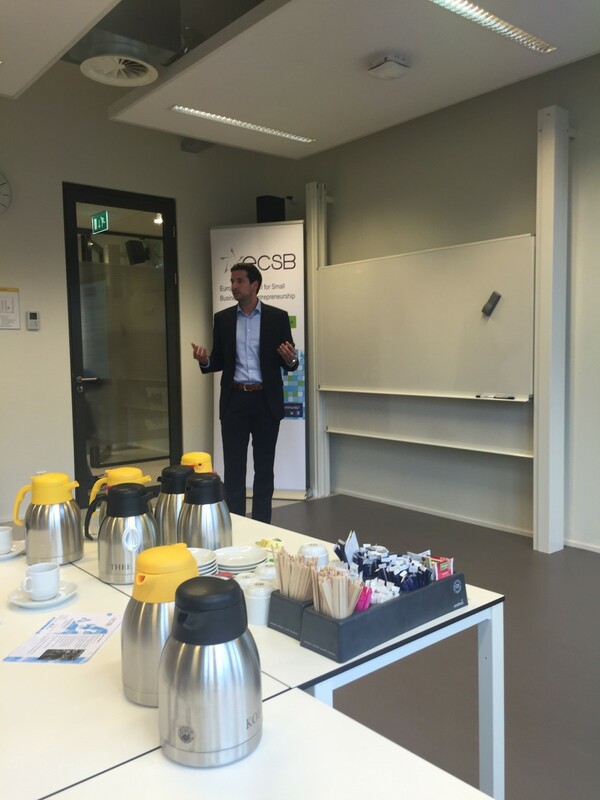 In deze Academy worden colleges over de Entrepreneurial Ecosystem benadering gecombineerd met concrete vraagstukken en handvatten. Er worden diverse casussen uit binnen- en buitenland bediscussieerd, en deelnemers kunnen ook voor de eigen (stads)regio van de deelnemers analyses en handvatten mee naar huis nemen. 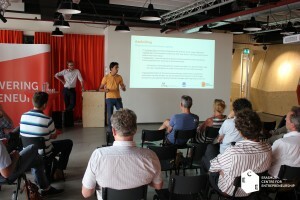 De Entrepreneurial Ecosystem Academy richt zich op beleidsmakers en –uitvoerders van regio’s en gemeenten, en andere stakeholders van Entrepreneurial Ecosystems. De Entrepreneurial Ecosystem Academy is o.a. 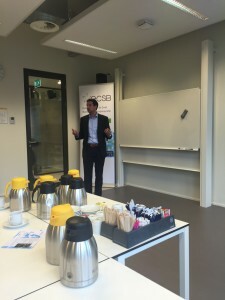 bedoeld voor (senior) beleidsadviseurs EZ, strategisch adviseurs van overheden en onderwijsinstellingen, programmamanagers van clusterorganisaties en incubators, managers van investeringsfondsen en kredietverleners. 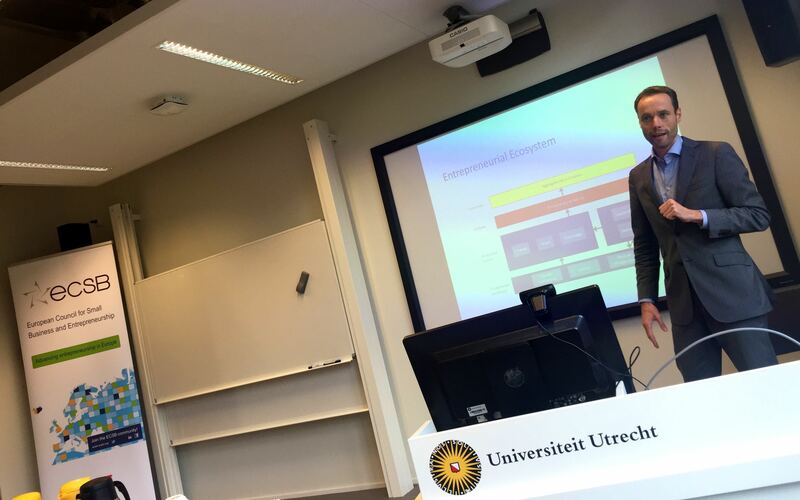 Het Utrecht Center for Entrepreneurship van de Universiteit Utrecht samen met Birch Consultants verzorgt de Academy, met steun van de Economic Board Utrecht. ABSTRACT Regional policies for entrepreneurship are currently going through a transition from increasing the quantity of entrepreneurship to increasing the quality of entrepreneurship. The next step will be the transition from entrepreneurship policy towards policy for an entrepreneurial economy. The entrepreneurial ecosystem approach has been heralded as a new framework accommodating these transitions. This approach starts with the entrepreneurial actor, but emphasizes the context of productive entrepreneurship. Entrepreneurship is not only the output of the system, entrepreneurs are important players themselves in creating the ecosystem and keeping it healthy. This research briefing reviews the entrepreneurial ecosystem literature and its shortcomings, and provides a novel synthesis. The entrepreneurial ecosystem approach speaks directly to practitioners, but its causal depth and evidence base is rather limited. This article provides a novel synthesis including a causal scheme of how the framework and systemic conditions of the ecosystem lead to particular entrepreneurial activities as output of the ecosystem and new value creation as outcome of the ecosystem. In addition it provides a framework for analysing the interactions between the elements within the ecosystem. This offers a much more rigorous and relevant starting point for subsequent studies into entrepreneurial ecosystems and the regional policy implications of these. Entrepreneurship among students is on the rise and more and more ambitious student entrepreneurs are discovering that successfully combining studies and running a business can prove challenging. Student entrepreneurs either spend less time on their startup or study resultingin dropouts or bankruptcy. While Steve Jobs (Apple), Mark Zuckerberg (Facebook), and Dutch Pieter Zwart (Coolblue) have been highly successful despite dropping out of college, this will not be the reality for many student entrepreneurs. This begs the question: how can we help ambitious student-entrepreneurs to successfully combine academics and runninga business? On July 2nd, on behalf of the Dutch Centres for Entrepreneurship (Dutch CE) and the Ministry of Economic Affairs, as well as The Dutch Academy for Research in Entrepreneurship (DARE) and Startup Delta, the ECE hosted a meetup with more than 30 educators, specialists, and leaders in the field of entrepreneurship education to talk about specialty support programmes for student entrepreneurs – the so called ‘topondernemersregeling – and best practices in the creation of an ecosystem which promotes entrepreneurial talent. While all of the programmes experienced their own challenges in creation and implementation, the successes seen in the three cases presented at the meetup only further strengthen the need for support for students in the completion of their studies and growth of their startup.